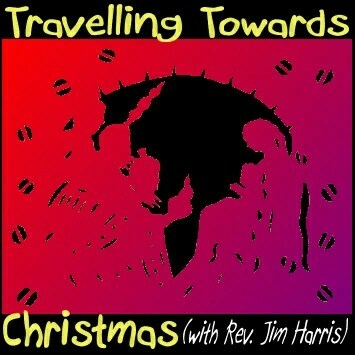 We come to the final meditation in the series, ‘Travelling Towards Christmas’. Christmas is Christ’s Mass. It’s about God sending ‘his one and only Son into the world that we might live through him.’ Those words are found in 1 John 4:9, and are closely followed in verse 14 by these words, ‘The Father has sent his Son to be the Saviour of the world.’ As was hinted in the last talk, about the visit of the Magi, Christmas is about incarnation. Earlier in Advent I was thinking about the idea of the Creator of the universe becoming part of his own creation. It seemed to me to be the ultimate in ‘downsizing’. That’s a word people use when they sell their house and buy a smaller one to live in, for whatever reason. However strong one’s imagination in envisaging possible examples of downsizing, there is nothing greater than that of God becoming a human being, of leaving heaven to live on earth. And to be born in a stable, what’s more, not in a fine palace with all the trimmings of royalty. And this for the greatest of all reasons; to save humanity from its self-destroying lifestyle and to bring us back into a loving relationship with God, for now and forever. As I dwelt on these thoughts some verses began to form in my mind. There’s only one way to find out – trust him; he’s as good as his word. With a bit of help from the Jewish scholars, the star took them to Bethlehem, where they found the young child with his mother. They brought gifts of gold, incense and myrrh. These three gifts may have suggested that there were just three of them in the party, but Matthew gives us no data on that. Gold; frankincense and myrrh. Gold, a gift fit for a king. Incense, a gift appropriate for a priest; still used today in some churches. Myrrh, a gift suggesting sacrifice and death, for it was an embalming spice. What other insights did they have, we wonder, as they travelled and talked among themselves. Matthew understood that they were significant to the story of Jesus birth, not just because they came, but because they were part of God’s strategy for Jesus. Those gifts were valuable, extremely so, and their value would have provided the means for the Holy Family to escape into Egypt and remain there for as long as it was necessary. This thought is strengthened by the fact that it was the Magi’s visit that provoked Herod’s wrath and his vicious massacre of the young boys of Bethlehem. There is something unexplained and mysterious about this visit of the Magi but, whatever else may be true, it makes the point for us that Jesus coming into the world was not only to save his people – that is the Jewish people – from their sins. Far from it; he was coming to be the Saviour of the world. His life, death and resurrection would establish salvation for all who would believe and receive it, regardless of race, colour, creed, culture, or social status. In emphasising the nature of the gifts they brought, we may overlook that, first of all, ‘they bowed down and worshipped him.’ They realised to some extent, that he was more than just another earthly king; that, somehow, he was destined to be of wider and greater significance than that. The apostle John was later to write of him as ‘The Word of God’ and penned the words, ‘The Word became flesh and made his dwelling among us.’ Perhaps these Magi were Wise Men after all, in that they partly understood what we’ve come to call incarnation – God on earth as a real human being! Shepherds were not sophisticated middle-class people. They were down-to-earth, rugged, hard working men, who tended and took care of flocks of sheep, mostly belonging to rich people. Some of them had a special role in looking after the flocks that produced lambs for the Temple sacrifices at Jerusalem. It’s known that these were pastured on the fields surrounding Bethlehem, because of it was close to Jerusalem. With that in mind, consider the fact that Jesus was to become ‘The lamb of who takes away the sin of the world!’ (John 1:29) Isn’t that remarkable? But there’s something else, too. Jerusalem was King David’s city but Bethlehem was his home town. That’s why Joseph had to travel to register there, ‘because he belonged to the house and line of David.’ (verse 4) With these ideas in mind it’s good to reread verses 8-11 again. It all comes together into what we can only think of as God’s superb plan for introducing His Son to the world.. These shepherds may have been ordinary people, representing the rank and file of human kind, but they were very privileged people too. That night out in the fields, unexpectedly, the curtain between heaven and earth was drawn back sufficiently for God’s messengers to be seen and heard. ‘An angel of the Lord appeared to them, and the glory of the Lord shone around them.’ Then a little later we read, ‘Suddenly a great company of the heavenly host appeared with the angel.’ The message they brought was ‘Good news of great joy to all the people’ – the Saviour had been born in Bethlehem. It was made pretty clear to them that they were to bear witness to this tremendous event by visiting the Baby, then passing on the good news to others. What does all this say to us, as we approach Christmas by crossing Shepherds Fields? Gabriel sensed her fear and told her she need not be afraid. He was bringing good news not bad. The time had come for God to send his Son into the world; to be born as every human being has to be born so that, in due course, he would become the Saviour that the world needed. Hence the name they were to give the child –Jesus – which means ‘God saves’. Just imagine the mounting excitement in Mary as he went on with his message. That was every godly Jewish woman’s dream; to be chosen to be the mother of the Messiah. It all sounds very cut-and-dried, when we read ‘You will be with child and give birth to a son and you are to give him the name Jesus.’ Despite the way it sounds, God wasn’t forcing Mary into this role, but he knew her heart well enough to realise he’d get a good response. We have an insight into how she thought and felt about God in the song recorded by Luke in verses 46-55. She knew the Old Testament Scriptures well and used them as a basis for her outpouring of praise and thanksgiving. Mary was a spiritual woman, however young she might have been. She loved God and wanted the best for his people, which isn’t a bad description of spirituality. But – life is full of buts – there was just one not-so-little practical problem. She was a virgin and, as Mathew’s account tells us, she was betrothed to be married to Joseph. Virginity up until the time of marriage was essential for the marriage to be recognised as legitmate in that society. That could be a huge problem for Mary; how could it be overcome? Conception would occur through the power of the Holy Spirit, said the angel, then, ‘Look what’s happened to your cousin Elizabeth; that’s a miracle for sure!’ Now for the punch line, ‘Nothing is impossible with God.’ Which takes us right back to the start, ‘The Lord is with you.’ That’s the key; God will take care of every detail, so don’t be afraid, however big the ask might seem to you. God is in control.